This past Tuesday Isaac and I went to the inlet on Topsail Island. 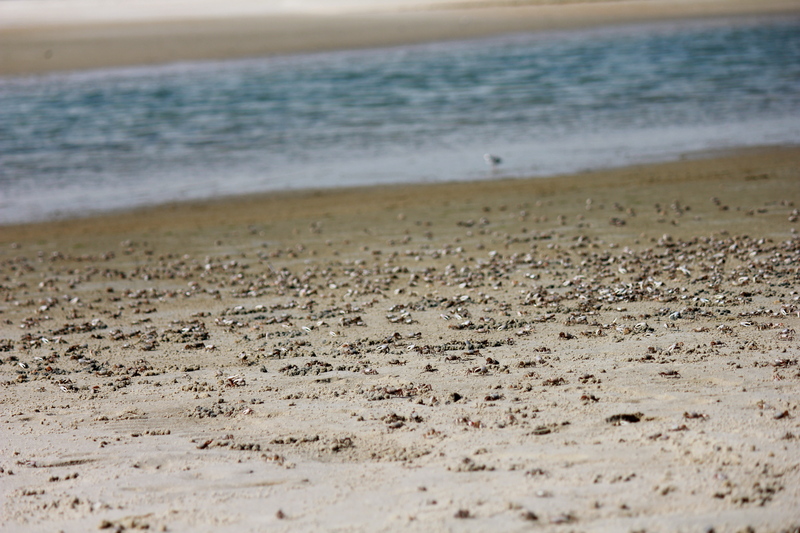 We spent about 2 hours walking around the empty beach; he skipping rocks and me photographing the wildlife. 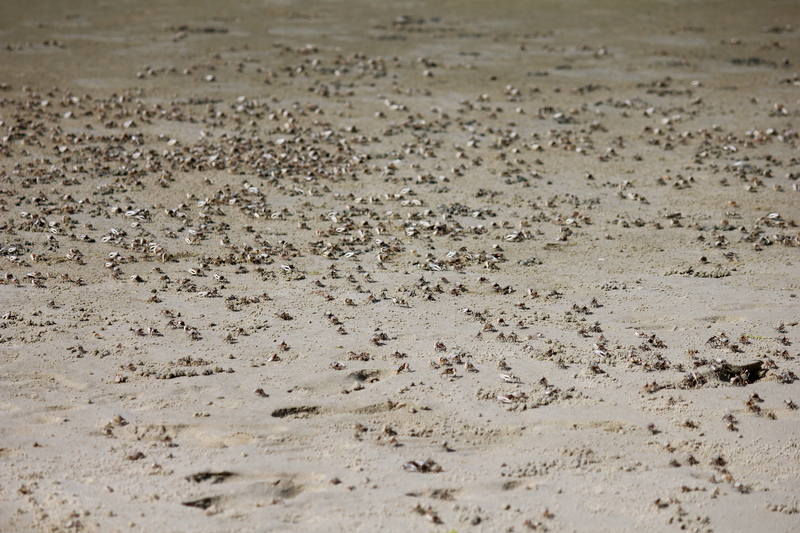 My favorite part was stumbling upon hundreds of crabs digging in the sand!! It was amazing. 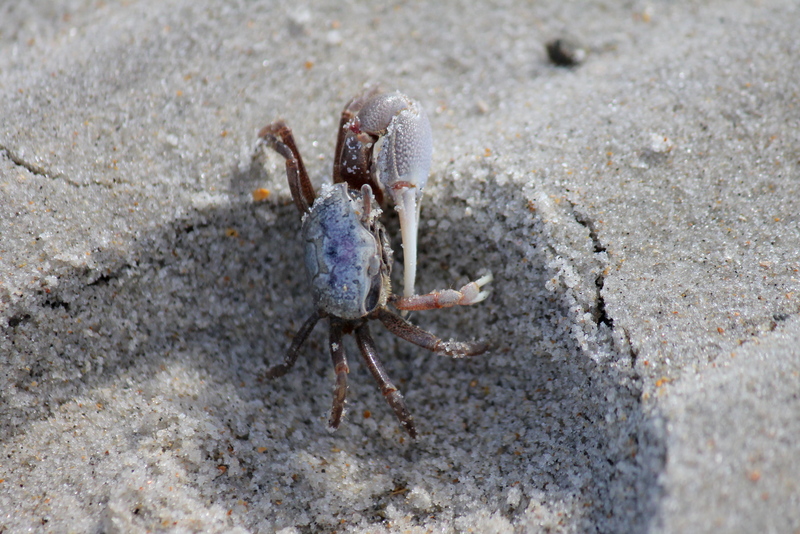 The beach was so quiet that you could hear them shuffling in the sand and snapping their claws. 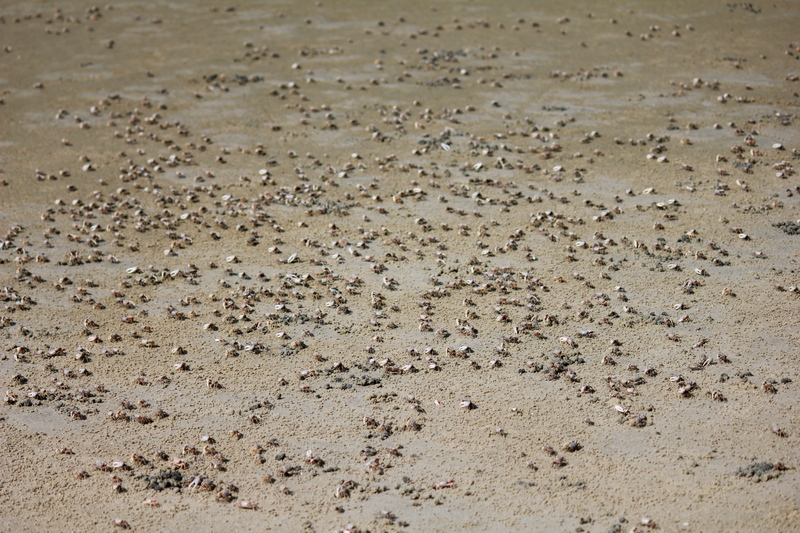 I have never seen so many crabs in one place. 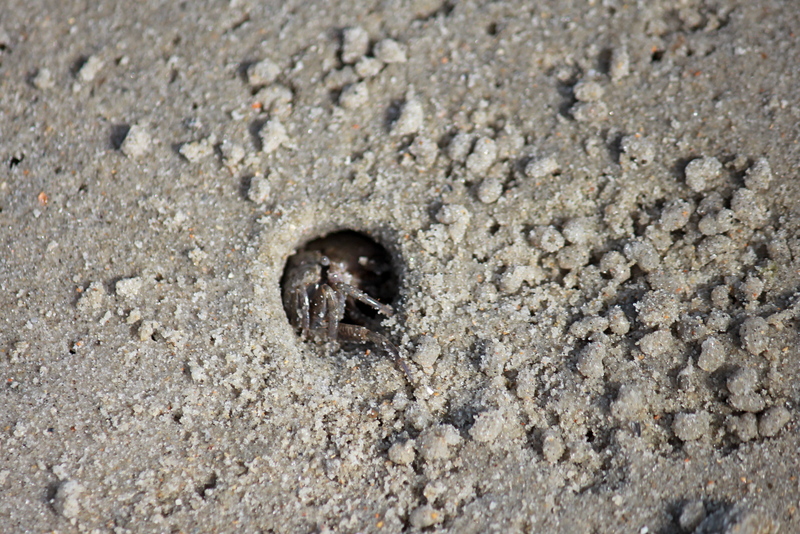 Maybe this is normal crab behavior, but to me it was most unusual. Also, what’s with the one giant claw and one normal-sized claw? Great photographs. Great post for this week’s challenge. Awesome find! That’s a lot of crab! Sounds like a great place to visit. Thanks for sharing. What an unusual little guy. Wow! Now that would be interesting to watch! I’ve read about these. Fascinating!!! Good choice for the challenge too … Topsail — is that the Outer Banks?! That’s way up there on my list of places I want to go to..
No it’s not the outer banks actually, it is about 30 minutes from Wilmington, NC. It is an awesome beach/island, I definitely recommend it! Very quaint and quiet town.